My what a beautiful morning! 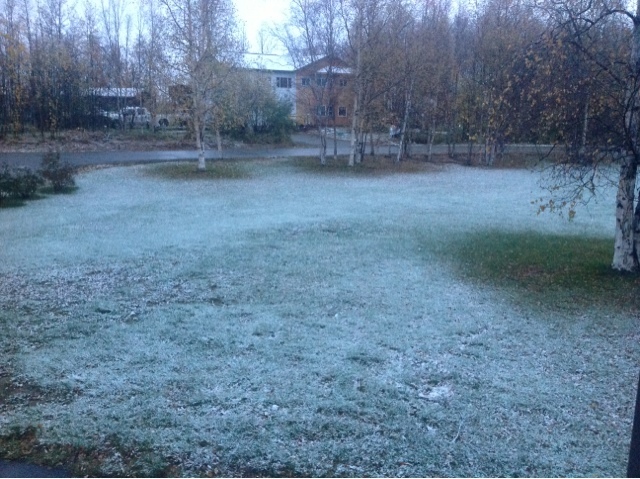 I woke up this morning to a light dusting of snow, here in Alaska. I truly love snow. It may sound crazy but I do. When we were in KY we had a decent snow fall. We had one small, sad looking snowman. We had a freaky snow storm in NC and my family was the only crazy bunch out rolling in it! KS gave us a good sledding weekend...but my kids have never experienced SNOW like I have. I am glad you are looking forward to the upcoming snow. It's been my experience that my kids adopted whatever our attitudes were about things we couldn't help. In that case they'll love the experience.